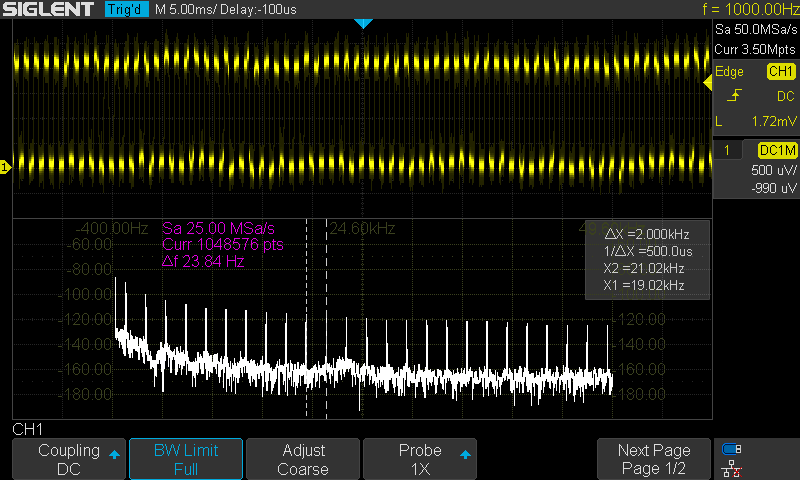 One of the more exciting features of the SIGLENT SDS1000X-E Series of Oscilloscopes is the 1 Mpoint FFT capability. Coupled with the 500 uV/div low voltage measurement range and the fast waveform update rate, this feature makes the SDS1000X-E a powerful spectrum monitoring tool. 1. The input signal should be as high as possible (within the operating and safety limits of the equipment in use). 2. The noise should be minimized. If the signal is low frequency (< 20 MHz), you can enable the Bandwidth (BW) limiting for the input channel. 3. The memory depth should be maximized for best results. 4. The math functions are only available for horizontal timebase values of 20 ms/div or less. This limits the low frequency response to 100 Hz or so, depending on the level of frequency detail that your application requires. Below are examples of low level (<40 mVp-p) signals at 1 kHz and 100 Hz. 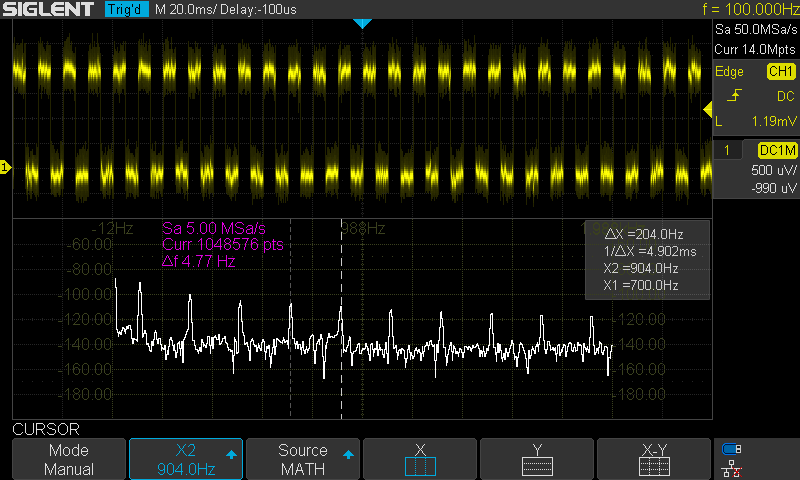 Figure 1: 1 kHz square wave, 40 mVp-p signal.